Park Slope Kids Dental Care (Brooklyn) - Book Appointment Online! 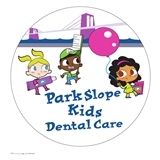 Park Slope Kids Dental Care is a brand new state-of-the art office, completely decorated and geared towards children. Our primary goal is to make every child's trip to the dentist a positive and fun experience. Dr. T. Francis and the staff makes sure that both parents and children are aware and educated about the special dental health needs while providing a warm, caring and professional service. The objective is to put your children’s mind at ease by having: a fun loving staff that can be comforting to them soft music and television to entertain them while getting their treatment rewards for a job well done Our pediatric dental offices is colorful, fun, and child-friendly. Dental phobias are often rooted in childhood, so it is essential that the child feel comfortable, safe, and trusting of the dentist from the outset. We have a unique vocabulary designed to ward off fear of seeing the dentist. Cavities are 'sugar bugs' and injections are 'sleepy juice'. The reason grown adults come to fear trips to the dentist is because someone terrified them along the way, making dental visits seem like punishment or even torture. We're here to change all that. We are not just any kids' dental office. We are changing the way people view dentistry for kids! Just step into our amazing state of the art office and you'll see why we are unlike any dental office you've ever visited. From the moment you enter you will see kid-fun technology, TVs, and a relaxed reception area for parents. It's a place that evokes smiles of everyone. When you visit our office, your child's smile is our top priority. Our entire team is dedicated to providing your children the personalized, gentle and comprehensive care that they deserve. This place was awesome my daughter was terrified visiting a new dentist but everyone in there who worked on her teeth made her feel so comfortable. The Dentist she saw was very sweet and informative. The whole team the people at the front desk the dental hygenist, the dentist, and the people who helped with Xrays Everyone over there Rocks and I will continue to go to them as long as my daughter can. Thank You guys so much for helping my daughter have such a wonderful experience!!!!! !